Vectorize Technology – Cosmetic Revolution! The differences between a cosmetic product which will only treat the surface of the skin, and a cosmeceutical product, which can actually change the function of your skin, is the way in which the ingredients are delivered. Vectorize Technology TM is a truly unique and revolutionary technology that is exclusive to IMAGE skincare. 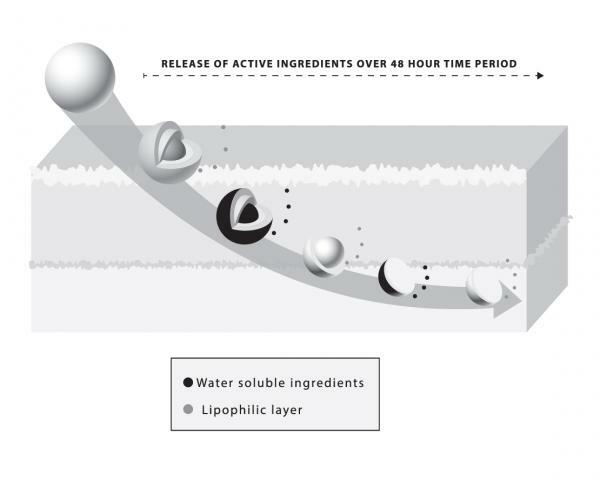 It is the first complex of its kind to allow the delivery of multi-active ingredients into the skin, via one multiple layered sphere. Each sphere is like an onion, made up of up to one hundred layers, which contain powerful ingredients between them. As the sphere is drawn down into the skin, the layers peel away, drip feeding these ingredients to each layer of the skin. Each sphere contains a carefully selected, patented blend of stem-cells, anti-oxidants, peptides and lightening agents. These potent ingredients are time released over 48 hours. So, as you apply your serum or crème, containing Vectorize Technology TM each morning and evening, active ingredients accumulate within the skin for maximum delivery, effectiveness and long lasting results. Vectorize Technology TM is brand new to the cosmetic industry after its launch in Miami, May 2014. IMAGE ranges the MAX, illuma and Ageless are the first in the industry to contain Vectorize Technology TM. The MAX contains the maximum number of peptides possible in a cosmetic formulation without causing over stimulation of the skin, for maximum results against aging. Both bio-memetic peptides and neuro-peptides are encapsulated into Vectorize Technology TM. This means they can target cells, such as the fibroblast cells which make our collagen and elastin, keeping our skin firm, plump and smooth. This combination leads to the reduction of lines, wrinkles and loss of elasticity. Illuma products target hyper-pigmentation (age spots, sun damage and melasma) by encapsulating lightening agents into Vectorize Technology TM. Ingredients such as SYNOVEA and Liquorice extract work on blocking the enzyme tyronase, which triggers pigmentation production. Regulation of this enzyme results in the even production of pigment, leading to a clearer complexion and improved skin tone. Although these ingredients are natural and botanical, do not underestimate their exceptional results. Because they are delivered into the skin via Vectorize Technology TM they can offer the same results as other more aggressive ingredients, such as hydroquinone, without the irritation. Ageless Total Anti-Aging Serum uses this powerful technology to deliver specific plant derived stem cells which support and offer protection to our body’s base skin stem cells. Plant stem cells sit above our own skin stem cells, acting like a body guard to protect them against DNA damage from the suns rays. In young skins, stem cells can produce up to 50 new skin cells in its life time. As we age, a build-up of DNA damage results in our stem cells slowing in activity, therefore not producing as many new skin cells and expiring prematurely. Plant derived stem cells encapsulated into VET can extend the life of our skins stem cells and recapture that youthful appearance. The combination of these powerful ingredients, wrapped into Vectorize Technology TM delivery, sets IMAGE apart as an industry leader in cosmeceutical skin care. To find your nearest stockist and boost your skin care routine at home with Vectoriaze Technology, Click here.